I did it, it looks like a sock!! I’m so excited. Okay so it’s not the world’s prettiest sock, and maybe she is a sock that only a mother could love… but I did it. Now I need to take a update picture since I have succesfully turned the heel (short-row heel) and picked up all my stitches and started working on the foot part of the sock. 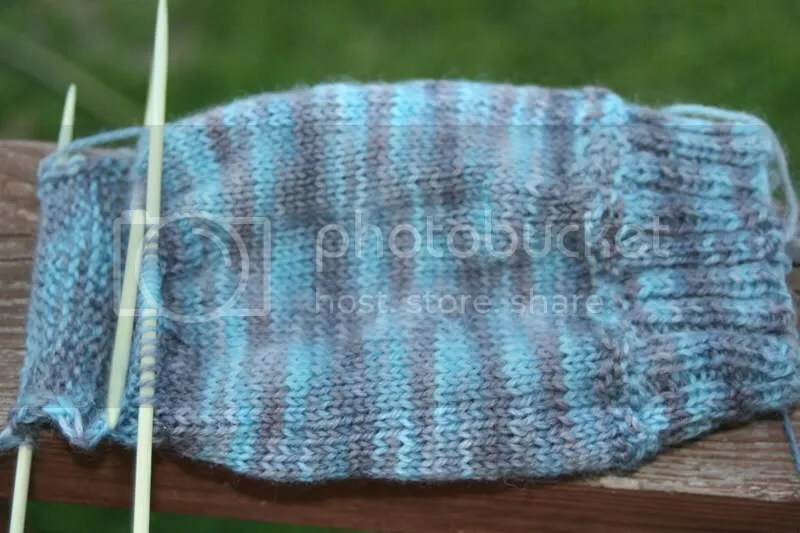 Here is the picture I took yesterday before finishing the heel.